Also known as “The Palmetto State”, South Carolina is located in the Mid-Atlantic and Southeastern region of the United States. The capital is Columbia and is the largest city located in the southeast, the largest metro area is Greenville, Anderson, and Mauldin in the northwest region of the state. To the north side of the border is North Carolina and to the south is Georgia. 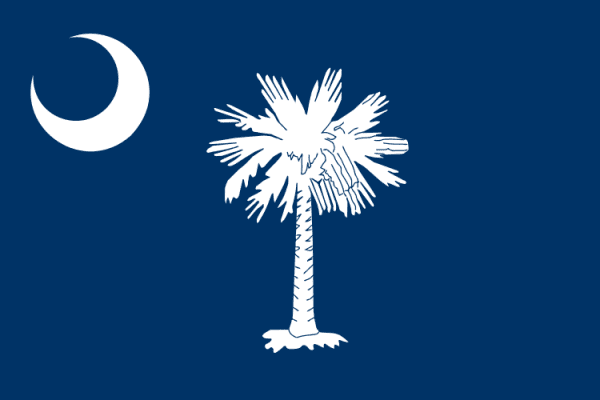 South Carolina was the 8th state entered into the union in 1788 and is ranked 40th in the country in area. The population is ranked 24th in the country with over 4.7 million residents and ranked 19th in the country with density. In the middle of the Civil War, South Carolina was the first to secede from the union to fight for slavery but reinstated in 1868. The landscape of the coast is made up of long beaches, delta, and islands. Some other sections of the state there are rolling hills, rivers, sandhills, marshes, and some other variety of landscapes. When you are searching for scrap yards in South Carolina, you can search for scrap prices in the area on the iScrap App. Some scrap yards in South Carolina may not list their prices on the iScrap App profile, so users can report prices instead. Customers that have recently been paid for their metals can post scrap prices on the yard’s profile. Some of the largest agricultural industries in the state are tobacco, poultry, cattle, dairy, and products. There are several branches of chemical products, machinery, automobiles, and automotive products. Many corporations have moved to the state because of the job agencies that often fill jobs in the region. With so many companies relying on metal for production, scrap yards in South Carolina are scattered around the state to help process scrap metals in the area. Some popular areas that have salvage yards are Columbia, Lexington, Anderson, Greenville, Spartanburg, Florence, and Charleston. You can search the scrap yards in South Carolina on the iScrap App by searching the map above or by searching for you zip code in the directory. Be sure to check the current scrap prices, reuqest containers for large jobs, ask about auto parts for repair, and scrap car pickups. PREMIUM YARD M&M Scrap Metal Inc.
Mid-Carolina Steel & Recycling Co.